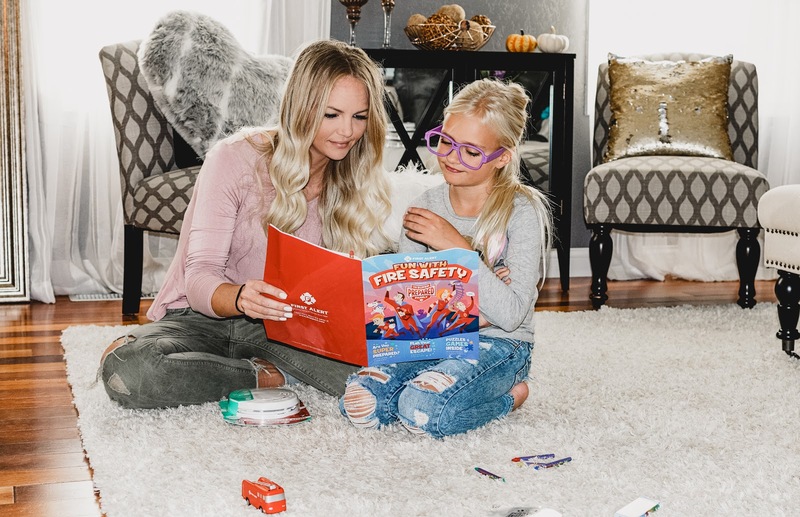 Home Home Mom Life October is Fire Prevention Month! There is nothing quite like being awoken by the chirping of a dying smoke detector at 3am, and then having to search the house to find which one it is, waiting in each room between beeps while you're still mostly asleep and heavily relying on the walls to keep you up because you have no balance. This happened to me about a week ago. Somehow my husband was able to sleep right through it. I am thankful that it did happen though as in the morning I had realized that the smoke detector had reached it's end of life, which means that the rest of the smoke detectors in the house would soon be reaching their end of life. Since a fire isn't something I wanted to risk, I was sure to stop by the store to pick up a few replacements. 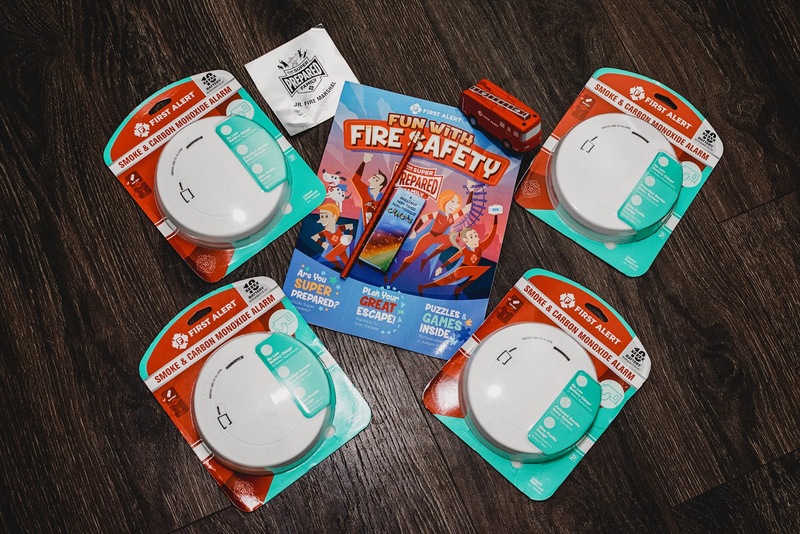 As it turns out, October is Fire Prevention Month, so I teamed up with First Alert to provide some facts and great tips to being prepared! According to the NFPA, in 2016 there were 352,000 home fires. 3 out of 5 fire deaths occurred in homes without smoke alarms. The #1 leading cause of house fires is unattended cooking. Less than half of homeowners have an escape plan. 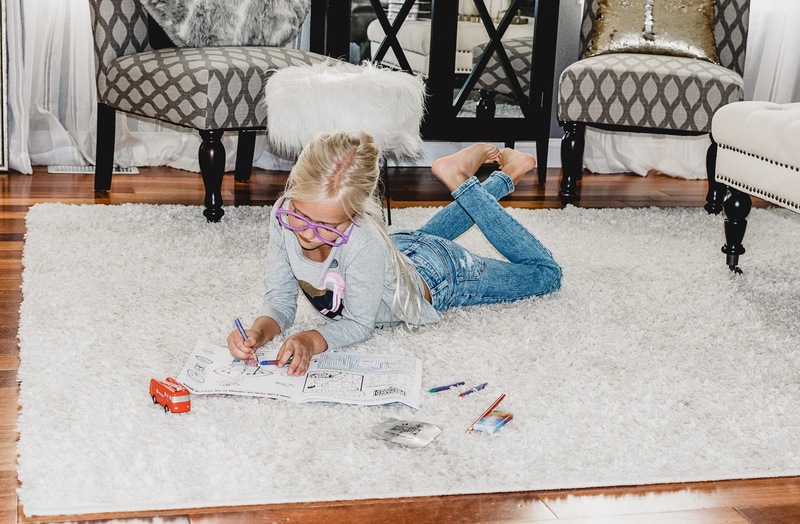 Have smoke and carbon monoxide alarms on every level of your house, including the basement, in every bedroom and outside of bedrooms. Have an escape plan, discuss it with your family and practice it! This is so important when you have kiddos. I just went over our plan with Daphnie again the other day, so she knows exactly what to do and where to go! Another important thing to go over with your kiddos is how to dial 9-1-1 in case of an emergency. Test your smoke alarms regularly and replace every 5-10 years (depending on the model). 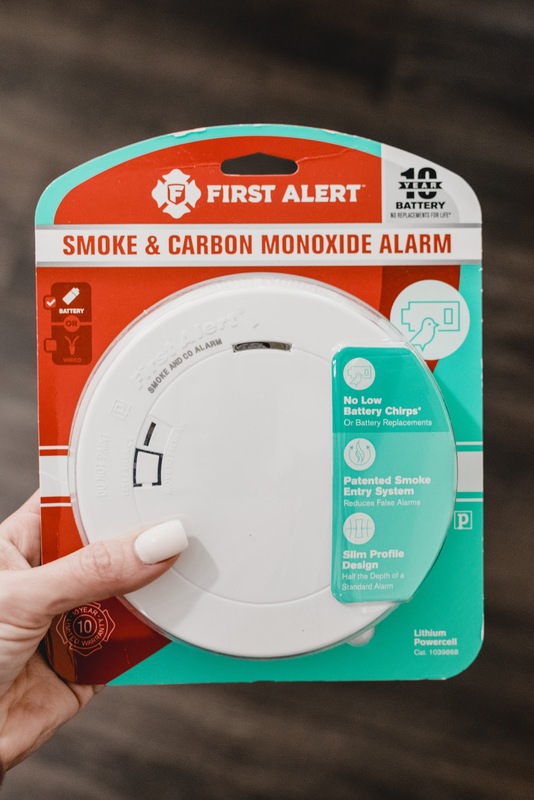 Smoke & CO detectors like these I linked here can detect both smoke and carbon monoxide. These are sealed and have a 10 year battery life. This ensures that you replace the alarm after it reaches it's end of life. Keep a fire extinguisher in your kitchen and readily accessible. CO (carbon monoxide) is invisible, tasteless and odorless. It can be produced from any fuel burring device. CO alarms detect this poisonous gas and provide early warning. I hope that this information helps you and your family become super-prepared!